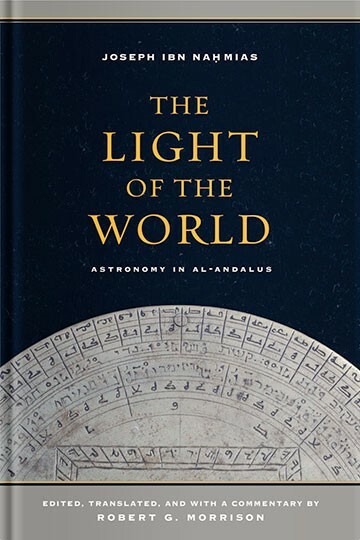 This book contains an edition—with an extensive introduction, translation and commentary—of The Light of the World, a text on theoretical astronomy by Joseph Ibn Nahmias, composed in Judeo-Arabic around 1400 C.E. in the Iberian Peninsula. As the only text on theoretical astronomy written by a Jew in any variety of Arabic, this work is evidence for a continuing relationship between Jewish and Islamic thought in the late fourteenth and early fifteenth centuries. The text’s most lasting effect may have been exerted via its passage to Renaissance Italy, where it influenced scholars at the University of Padua in the early sixteenth century. With its crucial role in the development of European astronomy, as well as the physical sciences under Islam and in Jewish culture, The Light of the World is an important episode in Islamic intellectual history, Jewish civilization, and the history of astronomy.